Check out our newest printable coupons! Hurry and print before they are gone! Remember, the $1 off coupons will be doubled to $2 off at Glen Burnie ShopRite! 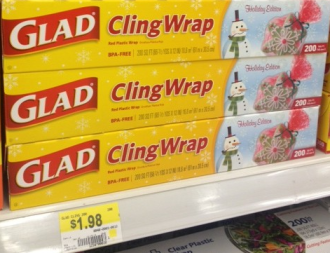 The Glad should be very cheap at ShopRite after the coupon and doubles, or take it to Walmart and grab the Holiday wrap for $0.98! *HOT* $2 Off Any Lindt Product Coupon = FREE Chocolate! YAY! This coupon has reset and we can get more FREE chocolate! Run on over and get this one printed! You should be able to find Lindt bars on sale or regularly priced around $2. If your store has them priced higher, just wait for a sale or price match to Rite Aid (starting 11/10 they’ll be $2) or Walgreen’s (starting 11/3 they’ll be $2)! If you’re a Commissary shopper, Lindt bars will also be free after the coupon. If you don’t personally eat Lindt chocolate, they’ll make a great addition to gifts for this Christmas, so I would still print this coupon! https://savvywifehappylife.com/wp-content/uploads/2016/09/SavvyWifeHappyLife-logo-2.png 0 0 Brandi https://savvywifehappylife.com/wp-content/uploads/2016/09/SavvyWifeHappyLife-logo-2.png Brandi2013-11-01 10:59:492013-11-01 11:13:08*HOT* $2 Off Any Lindt Product Coupon = FREE Chocolate! New $1/1 Advil PM Coupon = FREE at Many Stores! There’s a new coupon for SAVE $1.00 on ANY Advil® PM product and the best part is that it has NO size restrictions! You’ll be able to score the 4 ct. packages for FREE at many places. Walgreen’s has them on sale this week for $1, but check Walmart (travel section) and dollar stores for them too! This coupon will reach its print limit fast, so print it now! https://savvywifehappylife.com/wp-content/uploads/2016/09/SavvyWifeHappyLife-logo-2.png 0 0 Brandi https://savvywifehappylife.com/wp-content/uploads/2016/09/SavvyWifeHappyLife-logo-2.png Brandi2013-10-13 23:17:452013-10-13 23:36:44New $1/1 Advil PM Coupon = FREE at Many Stores! We got a whole bunch of new Glade coupons! If you print these coupons now you’ll be ready for the upcoming sales! Glades sales are very common at Target and CVS. Also, if you’re local, Glen Burnie ShopRite is still doubling $1 coupons through the end of the year. That should make for some great deals! Hurry on over and print this HOT coupon for $1.50 off ONE (1) Mott’s for Tots Juice! You should be able to score so FREE or at least cheap juice with this coupon. Safeway will frequently have Mott’s on sale for $1.49 wyb 4, so if I were you, I’d print the coupon now and hold it for that sale. 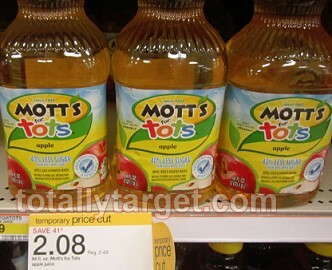 Many other stores will have Mott’s on sale for around $2. 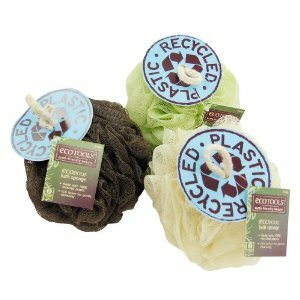 New $1/1 EcoTools Coupon = FREE Sponges at Walmart and Target! You’ll definitely want to print this coupon for $1.00 off any one EcoTools product! https://savvywifehappylife.com/wp-content/uploads/2016/09/SavvyWifeHappyLife-logo-2.png 0 0 Brandi https://savvywifehappylife.com/wp-content/uploads/2016/09/SavvyWifeHappyLife-logo-2.png Brandi2013-08-01 11:43:052013-08-01 11:43:05New $1/1 EcoTools Coupon = FREE Sponges at Walmart and Target! New $1/1 Reach Coupon = FREE Floss at Many Stores! Head on over and print this *Hot* coupon for $1.00 off any (1) REACH Floss Product which will score you FREE Floss! Target, Walmart, and Dollar General, etc. all sell the floss for $. 97 – $1. https://savvywifehappylife.com/wp-content/uploads/2016/09/SavvyWifeHappyLife-logo-2.png 0 0 Brandi https://savvywifehappylife.com/wp-content/uploads/2016/09/SavvyWifeHappyLife-logo-2.png Brandi2013-07-28 15:03:312013-07-28 15:03:31New $1/1 Reach Coupon = FREE Floss at Many Stores! 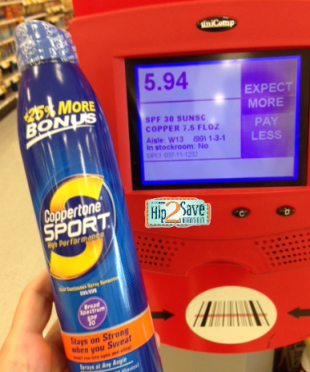 New High Value Coppertone Coupons = As low as $2 at Target! We got two new Coppertone coupons to print! Here’s a great deal on sunscreen. Perfect for the beach! Print your coupons now as they won’t be available for long! https://i1.wp.com/savvywifehappylife.com/wp-content/uploads/2013/07/screen-shot-2013-07-12-at-2-46-31-pm.png?fit=310%2C372&ssl=1 372 310 Brandi https://savvywifehappylife.com/wp-content/uploads/2016/09/SavvyWifeHappyLife-logo-2.png Brandi2013-07-12 21:31:262013-07-12 21:31:26New High Value Coppertone Coupons = As low as $2 at Target! HOT New Jennie-O Turkey Coupons = Hot Dogs as low as $0.43! Final cost = as low as $0.43! https://i2.wp.com/savvywifehappylife.com/wp-content/uploads/2013/06/2013-04-19-17.34.07.jpg?fit=3264%2C1952&ssl=1 1952 3264 Brandi https://savvywifehappylife.com/wp-content/uploads/2016/09/SavvyWifeHappyLife-logo-2.png Brandi2013-06-26 10:13:402013-06-26 10:13:40HOT New Jennie-O Turkey Coupons = Hot Dogs as low as $0.43! High Value $2 off Mars Ice Cream = As low as $1 per box! I posted this high value $2.00 off any ONE (1) Mars Ice Cream coupon before and it’s surprsingly still available! You should be able to find Mars Ice Cream products for around $3 at Walmart and Target. They are also priced at $3 at Safeway through 6/25. Keep your eyes peeled for specially marked boxes with FREE Redbox codes making the deal even sweeter. Final cost = $1.00 for the 6 bar pack, only $0.17 per bar! Thanks Raking in the Savings and Hip2Save! https://i0.wp.com/savvywifehappylife.com/wp-content/uploads/2013/06/screen-shot-2013-06-16-at-8-18-15-pm.png?fit=614%2C236&ssl=1 236 614 Brandi https://savvywifehappylife.com/wp-content/uploads/2016/09/SavvyWifeHappyLife-logo-2.png Brandi2013-06-17 15:44:012013-06-17 15:44:01High Value $2 off Mars Ice Cream = As low as $1 per box!